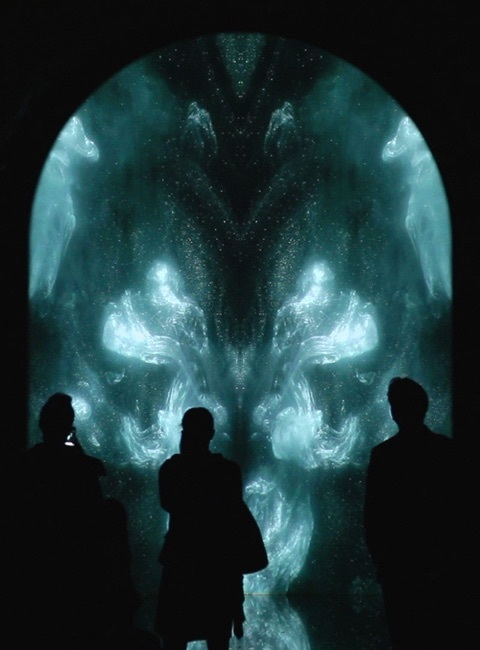 This large scale digital film installation, created for Lazarides' The Minotaur exhibition in 2011, was inspired by the genetic soup in which we all swim. It is a sister film to The Heretics’ Gate and contrasts with that work in many ways while sharing the same soundtrack. The two films can be presented simultaneously in the same sound space. The score is by UNKLE (J Lavelle, P Clements and J Griffith).